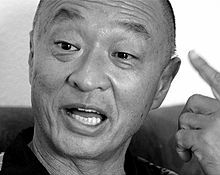 کری هیرویوکی تاقاوا (اینگیلیسجه: Cary-Hiroyuki Tagawa) آمریکالی فیلم یاپیمجی‌سی و اوْیونچو. ۲۷ سپتامبر ۱۹۵۰ ‏ ایلینده دۆنیایا گؤز آچیب. اؤز تحصیلینی گونئی کالیفورنیا بیلیم‌یوردودا بیتیرمیش. 1987, 1989 Miami Vice Kenji Fujitsu, Tegoro Episode: "The Rising Sun of Death" and "Asian Cut"
1987 MacGyver Asian Buyer Episode: "Dalton, Jack of Spies"
1987 The Colbys Mr. Sung Episode: "Devil's Advocate"
1987 Star Trek: The Next Generation Mandarin Bailiff Episode: "Encounter at Farpoint"
1988 Hotel Inspector Chin Episode: "Double Take"
1989 Superboy Detective Jed Slade Episode: "Terror from the Blue"
1989 Knots Landing Mr. Toyo Episode: "Giganticus II: The Revenge"
1989 Moonlighting Artist Episode: "Perfetc"
1989 A Peaceable Kingdom Coach Episode: "Chimp"
1989 Alien Nation Yamato Episode: "The First Cigar"
1989 Mission: Impossible Vang Kai Episode: "Countdown"
1990 Jake and the Fatman Raymond Char Episode: "Chinatown, My Chinatown"
1990 Hardball Episode: "Wedding Bell Blues"
1991 Baywatch Mason Sato Episode: "War of Nerves"
1992 Raven Osato Episodes: "Return of the Black Dragon" and "Reunion"
1993 Renegade Hirotaka Episode: "Samurai"
1995 Babylon 5 Morishi Episode: "Convictions"
1996 Cybill Kenji Episode: "Cybill and Maryann Go to Japan"
1996 Sabrina, the Teenage Witch Tai Wei Tse Episode: "Sweet & Sour Victory"
1997 Happily Ever After: Fairy Tales for Every Child King Young-Jin Episode: "The Little Mermaid"
1997 Stargate SG-1 Turghan Episode: "Emancipation"
1998 Poltergeist: The Legacy Sam Tanaka Episode: "The Internment"
1998 Vengeance Unlimited Aung Myint Episode: "Ambition"
1999 Seven Days Peter Episode: "Walter"
2000 Walker, Texas Ranger Master Ko Episode: "Black Dragons"
2007 Heroes The Swordsmith Episodes: "Chapter Six 'The Line'" and "Chapter Seven 'Out of Time'"
2009 Beyond the Break Xander Episodes: "One 'Elle' of a Party" and "Cast Away"
2010 Hawaii Five-0 Hiro Noshimori Episodes: "Ke Kinohi" and "Pahele"
2014 Teen Wolf Katashi (Silverfinger) Episode: "Silverfinger"
2014 The Librarians Mr. Drake Episode: "And the Apple of Discord"
2016 Grimm Takeshi Himura Episode: "Inugami"
2016 Teenage Mutant Ninja Turtles Sumo Kuma (voice) Episodes: "Yojimbo" and "Kagayake! Kintaro"
2016 Overwatch Narrator Episode: "Dragons"
اینگیلیسجه ویکی‌پدیاسی‌نین ایشلدنلری طرفیندن یارانمیش«Cary-Hiroyuki Tagawa»، مقاله‌سیندن گؤتورولوبدور. ( ۲۲ ژانویه ۲۰۱۸ تاریخینده یوْخلانیلیبدیر). قارداش پروژه‌لرده کری هیرویوکی تاقاوا گؤره داها آرتیق بیلگی‌لر تاپابیلرسینیز.